EXPOMINA PERU 2016 is the largest mining exhibition of Peru. 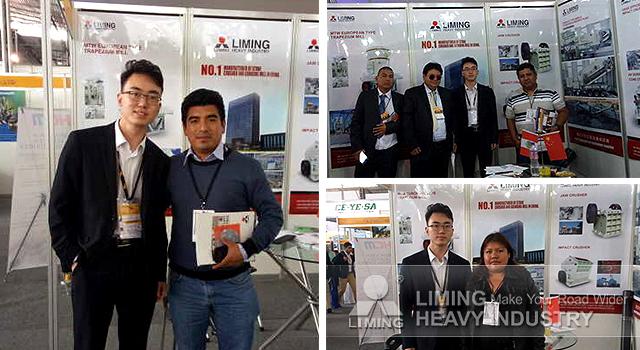 Liming Heavy Industry took part in the exhibition. In the exhibition site, we showed our stone crusher and grinding mill and introduced the latest technology to our customers. Some customers expressed their intention to buy equipment on the spot, and had detailed negotiations about the relevant programs. The show ended, but we will visit local customers for a week from september 18 to 23. If you have any problem, feel free to contact our local manager, Jockey, his phone number is: 0051949219154. We look forward to meeting you and give you more support!